University of Washington Press, 9780295970110, 236pp. For nearly five decades, Jacob Lawrence has been widely regarded as America's most important black artist. His work is known throughout the world for its depiction of the black American experience from the Civil War to the civil rights movement and beyond. But Lawrence's paintings are more than a chronicle of this history. He has created a uniquely American vision that affirms the place of all individuals in our society and honors the struggle for independence. Jacob Lawrence has given us powerful, lasting images which, when seen as a whole, constitute a narrative of epic proportions. This major book celebrates the creative genius of Jacob Lawrence. It is the most comprehensive survey ever made of his work and traces his developments as an artists as well as places his work within the tradition of American modernism. In this context it examines for the first time works he has completed since 1974, when he was honored with a retrospective at the Whitney Museum of Art. The paintings reproduced here illustrate a broad array of moods and subjects. Representing each of the artist's significant periods, they range from fond portraits of Harlem street life in the 1930s to angry depictions of racial injustice during the 1960s, from images of people working in harmony to bleak depictions of civilization shattered by nuclear war. Yet together they reveal an essential unity in Lawrence's work. His distinctive cubist-expressionist style and his basic humanist credo remain intact throughout fifty years of changing artistic fashion. The artist's life encompasses a broad spectrum of experience that formed the character of three American generations. He was raised in the Depression, and his first art training was through social programs under FDR's New Deal. In the late 1930s he was employed as a painter by the WPA, then served in the Coast Guard in World War II. From the start of his career, he achieved success and recognition in the competitive world of New York artists and galleries, all the time maintaining a powerful representational style that went counter to prevailing forces of Abstract Expressionism. Ellen Wheat examines Jacob Lawrence's life as an integrated whole. 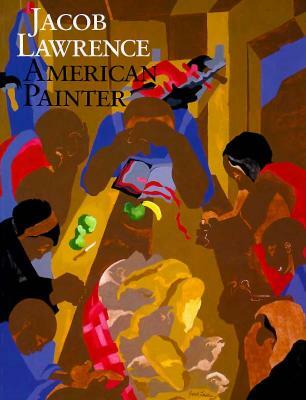 She discusses the cultural and political grounding of 1930s Harlem, effects on artists of the Depression and New Deal, art in New York, all in relations to Lawrence's long-standing commitment to depicting the history of black Americans and to the narrative series format he adopted to convey it. Among other subjects, he has dealt with Toussaint L'Ouverture, Harriet Tubman, the community of Harlem, the American South, Nigeria, civil rights, and John Brown. Wheat also documents and analyzes developments in the artist's technique and style in relation to the work of some of his teachers and peers (Charles Alston, Claude McKay, Romare Bearden) and those who influenced his work (Orozco, Albers, Grosz, Giotto). Throughout these pages Lawrence speaks of his work and development in the first person. The author draws on her numerous interviews with the artist since 1982, as well as other sources. This chronological overview of Lawrence's career is enhanced by over 150 illustrations of his work, 85 in color, and a generous selection of photos that place him in his studio, in the art world at large, and among his friends and colleagues.